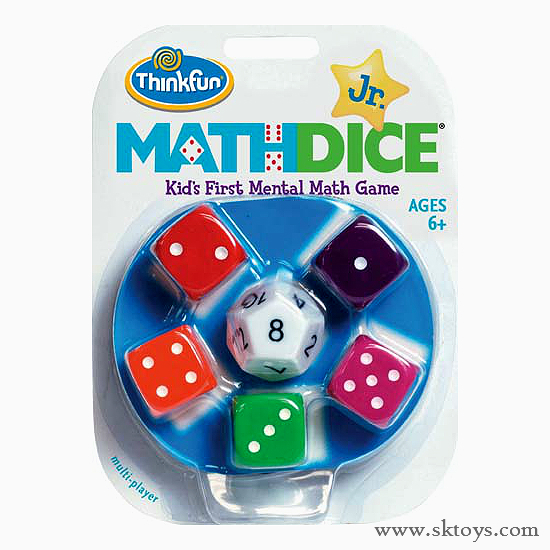 Math Dice Jr is a first mental math game for kids. 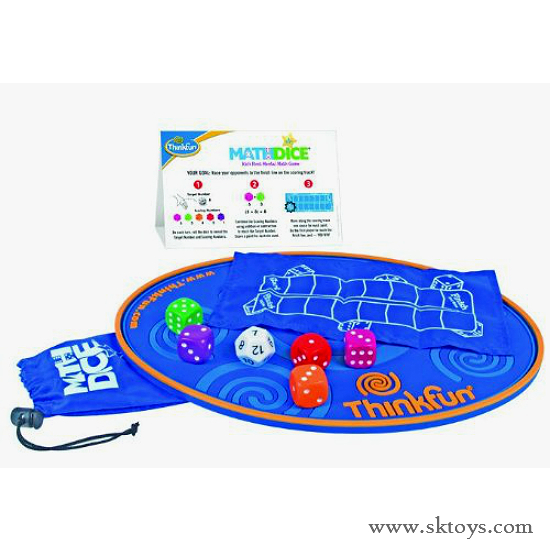 Have fun while building math confidence. 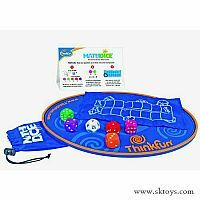 Simple rules and chunky, brightly colored, over-sized dice make this game perfect for early elementary age learners. Roll the 12-sided dice to get a target number. 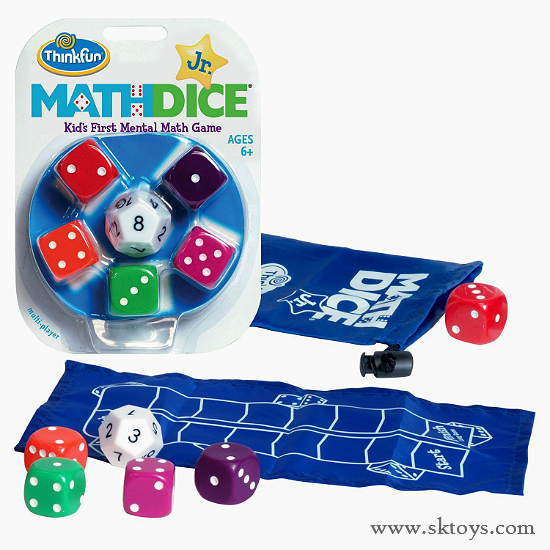 Then roll the five 6-sided dice and use any form of addition and/or subtraction to match the target number. Move along the scoring track one space for each die used. The first player to reach the finish line wins. Includes storage bag. For 1 to 3 players. Measures approximately: 5.00 x 7.00 x 1.75 inches..